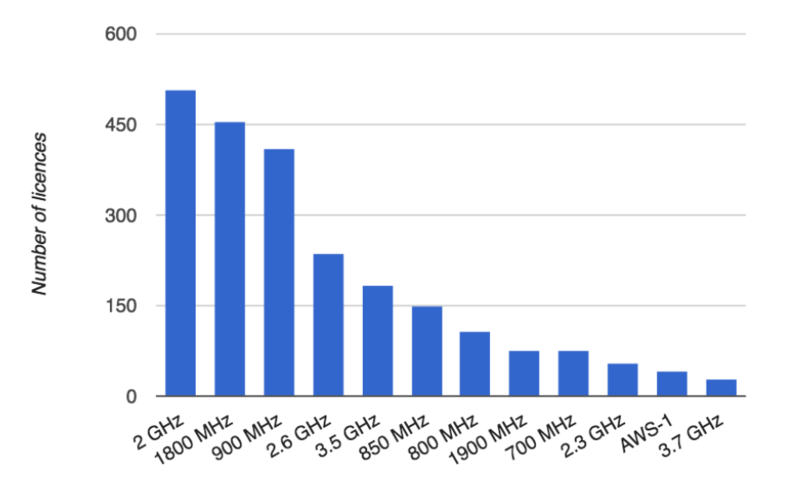 Updated for 2019, and now including a section on the satellite industry, this report is the leading authority on current mobile frequencies and bands which could be used for 5G. It is an indispensable reference for spectrum professionals. The 4G and 5G Spectrum Guide is the essential briefing for everyone involved in national or regional spectrum policy. 196 pages long and containing nearly 100 graphs, charts and diagrams it is the most comprehensive resource of its kind. It contains detailed textual analysis of the current and future mobile bands and the approaches of leading countries and industry players, based on interviews with leading industry sources and leveraging PolicyTracker’s unparalleled experience of spectrum policy. This analysis is backed up by statistics from over 120 countries and 3000 spectrum licences. The data comes from regulators and governments and has been verified by our researchers. 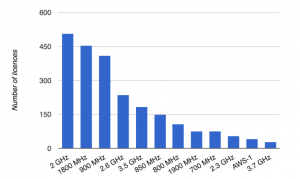 Which bands are being studied for 5G? Which bands are proving the most popular? What is the progress in the WRC-19 preparations? Which bands are being supported by vendors and operators? What are the perspectives of the OTT players? What are the economic drivers for the major stakeholders? What are the policies of national governments? The report is priced at GBP £2000 + VAT (if applicable) for a single user and you can get organisation-wide access as part of our Spectrum Research Service. This is the ideal document to get a whole team up to speed: please enquire for corporate licensing options. The report is supplied as a PDF and can be viewed on all platforms.